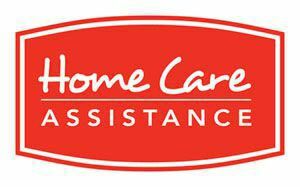 Home Care Assistance provides services to older adults that enable them to remain independent in their own homes. We work closely with family members to support their loved ones’ wishes to live life independently, providing an alternative to assisted living facilities and nursing homes. By keeping families together and inspiring older adults to live happier, healthier lives, Home Care Assistance is changing the way the world thinks about aging. Our caregivers are the foundation of our company and what makes us different. Each is rigorously screened, trained in our exclusive Balanced Care Method™ of caregiver training and taught that client’s needs always come first. We even administer a psychological examination, developed by Ph.D. psychologists, to test for honesty and conscientiousness. All of our caregivers are bonded and insured. Case managers monitor our caregivers to make sure they deliver the highest level of care possible. Our Balanced Care Method™ of caregiver training is based on the scientifically studied lifestyle choices of the longest and healthiest living people on earth. Focusing on lifestyle and dietary choices, the Balanced Care Method™ promotes healthy activity, stress reduction, and social interaction to help seniors live their best possible lives in the comfort of home. Flexible Hourly, Live-In, and Overnight services are available. There are never any long term contracts or deposits.